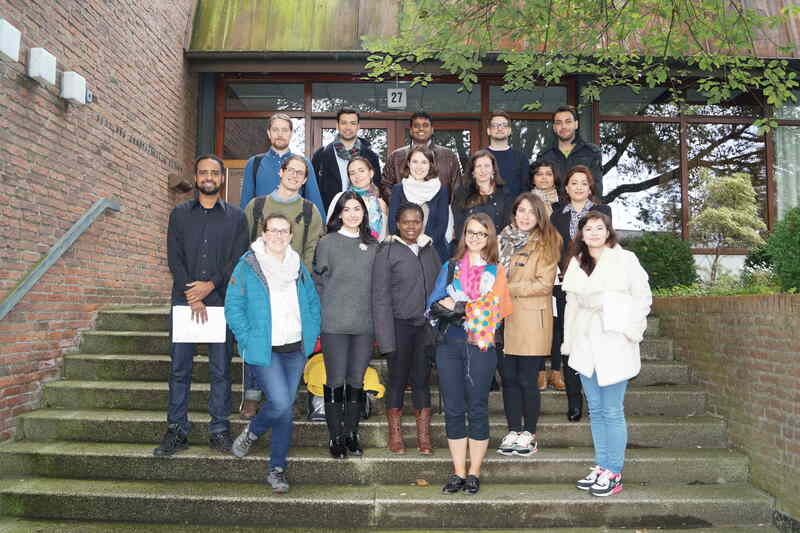 On Monday, October 10th, the class of 2017 of our Master’s Programme in European and European Legal Studies (MEELS) commenced their course of study at Europa-Kolleg Hamburg. At the welcome ceremony they were greeted by Deputy Director of Studies, Prof. Dr. Karsten Nowrot, who delivered a short speech. 18 students from 12 different countries of origin make up the new class of students and addressing them, Prof. Nowrot alluded to the fascinating and rewarding experience that lies ahead for them. He mentioned historic as well as current challenges for the European Union and elaborated why he deems it a more than worthwhile experience to pursue a Master’s degree in European and European Legal Studies, despite (perhaps even because of) some of the current challenges facing the Union. The following lunch provided an opportunity for students to get to know each other, as well as some of the faculty and alumni of the programme.